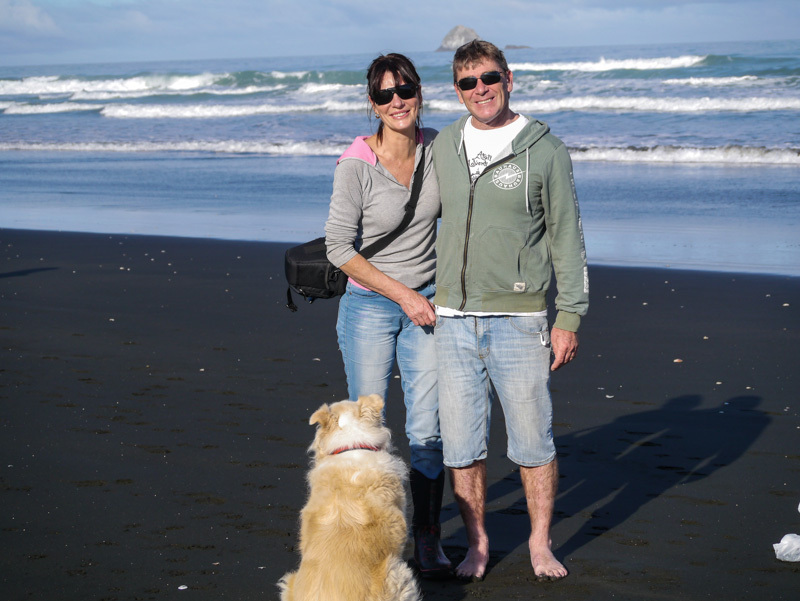 I live on a lifestyle block with my hubby Andrew in Waimauku, West Auckland. We have lived here since 2005 when we decided it was time to escape city life. Loving my garden, I studied horticulture for 4 years and practice much of what I learnt in our garden including organics. Working from home is a bonus too, you just can’t beat the view from the office window. Did I say that my favourite boots are my gummies? You bet! Hope you enjoy my blog rantings … send me a comment I’m very happy to help. Hi Julie, love your blog. I would like to invite you to join a garden blog hop I host once a month – http://www.strayedtable.com/grow/garden-share/. Its about sharing our veggie patches, keeping each other motivated to growing clean food. Hi Julie, I love your blog 🙂 Whist i’m only young (22) I have a huge vegetable garden and try to eat and use only organic products . Far better way of life 🙂 Keep up the wonderful job. Hi Julie, I really am liking what I am seeing! Love your photos! They look fun and carefree and very much depict your lifestyle. By the way what kind of boots are gummies? Hey Roberta … nice to see you. Your blog by the way is superb! I’m like you, I love my camera. Ha ha Gumboots .. or I call them gummies. P.S. In case you forgot me, I looked after your mom and dad’s funerals. Julie, I’m really looking forward to following your blog because I’m a huge gardening fan myself. Hey Shane .. That’s good! Hope my garden rankings are interesting. Love your photos! Greetings Julie. Stumbled across your blog via a post of yours somewhere in the Land of Blog (sorry — lost the thread…) Anyway, love the photography and blog layout. Stunning, actually. I’m new to blogging and quite interested in seeing what others are doing. Your blog is quite inspirational! I’m following you now and looking forward to reading more! Hi Julie, Loved your blog this week, as usual 🙂 I’ve brought my mini greenhouse inside (hubby was unimpressed!) because I was impatient for my seeds to germinate. Yours are looking impressive – I have a bit to catch up! I recall reading a while back in one of your blogs that you have done some horticultural study. I’m interested in doing the same (some of the plant science courses at Lincoln look amazing). Would you mind sharing what you studied? Came across your blog through Max And his photos. Intrigued by the different seasons. Am just setting up an organic veg plot and the rest for wild flowers and others. Hopefully a conservation plot and small nature reserve here in Southern Spain. Love your photos but also good info. We have rather old neglected olives, some were pruned back but has caused more under tree growth. We are now ready to harvest the sweet chestnuts in October. Good luck with your project. Hey .. great to hear from you. Good luck with that garden – organics is the way too go 🙂 Glad you like my pics and info. Hope that I can be of help 🙂 Good luck with your chestnuts – oh and olive trees adore a good prune! Thanks and am off to an ecological seed fair this weekend bit all helpful hints will be in Spanish! Now that sounds perfect! Hope you have fun … 🙂 Good luck with the Spanish! Your blog is beautiful, really beautiful. Of course the fact that you are away from the city helps with the perspective. I grew up on a farm in the Panhandle of Texas and have many memories tucked in my brain, but sometimes those get crowded out by city life. I’ve had a nice time clicking around your blog. Thankyou for sharing your lovely photos and stories. Good luck with those new chicks – not long now! Your flower photographs are a treat to the eyes, Julie. And your passion for gardening shows through these images 🙂 Happy clicking! Gosh thank you so much! Yes I am passionate … adore my garden. It is controlled mayhem LOL. Happy clicking back at you 🙂 Love love your work … you are very clever! Hi Julie. Thank you for visiting and following HoB. Much appreciated! Oh thank you 🙂 so nice to be able to share it with you! Hi, congratulations on nice blog and beeing on the close side to the nature! I am looking forward to reading more and looking at a nice photos of nature! Thanks for the follow, Julie. Looking forward to your posts. I wasnt sure where you leave you a message – you have won the duck finger finger puppets on my giveaway! Please contact me with your address and I can rush them over to you! Hello from Türkiye… just wanted to say “thank you” Julie (and Andrew), I appreciate your recent ‘follow’, knowing how many interesting and entertaining blogs there are out there. Small world. I bought a carton of toi toi wine a few months ago. Sauv blanc, but NZ is known for its pint noir, so that will be next. Thank you 😊 I have just been given an Australorp that needed a home ..
You are living our dream- Toi Toi wine included! A beautiful blog! The name of your blog caught my eye Julie look forward to reading more about you. Thanks Julie I have been away and now need to write my xmas message for the year. Thanks for checking it out, have a lovely day. I just reblogged your latest post, Julie. We here in the frozen north especially need some warming scenes to remind us that the current deep-freeze won’t last. Hi Julie! Just strolling around the blogosphere looking for some interesting blogs to follow; I enjoyed reading your blog, come visit mine when you get a chance at http://www.thatssojacob.wordpress.com and if you like it, follow me back! I’m hoping to reach a wider audience. Thanks and have a good one! I took some pictures! No, actually around 5000 (both trips). I posted some. If you search for “New Zealand” you will find them. We used the photos primarily for my wife’s book. Alex wrote a book about NZ and bakery products. The German title translates to “Sweet companions through New Zealand – a backpack, 5 weeks, 5 senses, 5 t-shirts”. All about our destinations in both islands and all about muffins and cakes. I am still thinking about a special category “NZ” in my blog. But most important are the pictures in our heads. We still have flashbacks sometimes. Ik hope hearing from you. Hi Julie, I will try to use the lowres since it is a very special image with the potato flowers and the berries in one shot. Thank you so much! Stans you are very welcome! Can you grab it from the net, or would you like me to email it to you? So pleased you liked that shot ..
Hi, Julie. We’ve made it to Franz Josef and will go hiking to look at the glacier this morning. Do you have any recommendations for places to visit in this southern part of the country?